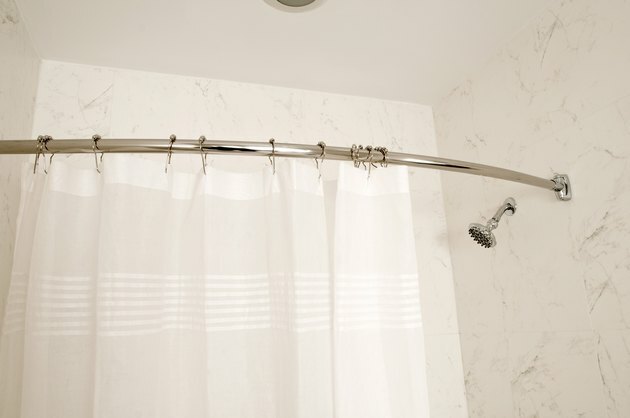 A shower curtain rod has a significant effect on the look and functionality of your shower. 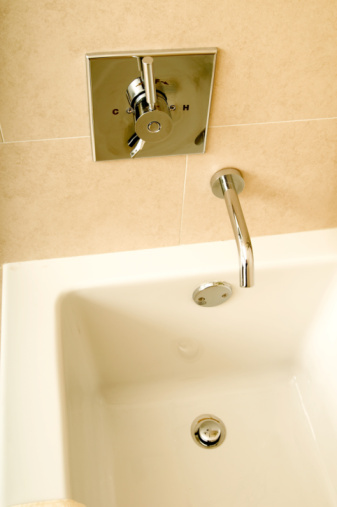 A curved shower rod mounts on either side of your shower and curves outward in a semi-circle. There are benefits to using a curved shower rod, but there are also disadvantages that you should be aware of before you have one installed. A curved shower curtain rod gives you more room in the shower. A curved shower rod pushes the shower curtain away from the shower stall, creating more room in the shower for moving around. This isconvenient for handicapped people who may require additional room to get in and out of the shower and maneuver around the shower stall itself. 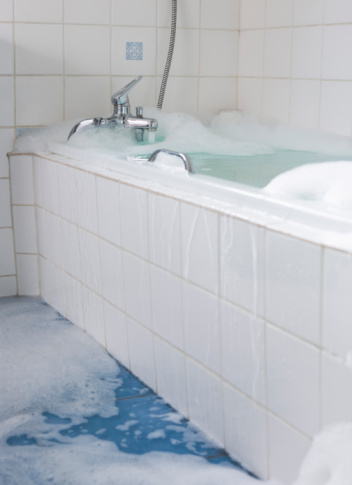 Getting caught in the shower curtain while turning or moving in the shower can cause property damage and result in injury. You can tear your shower curtain away from its rings and damage the tub where the shower curtain rod is installed. Someone who gets wrapped up in the shower curtain can fall and hurt himself. A curved shower curtain prevents that property and personal damage and makes it difficult for someone to get caught in the shower curtain when using the facilities. When you have soap in your eyes and you need to turn around in the shower, you sometimes reach for the shower curtain to find your way to the water nozzle or a towel. When you have a curved shower curtain rod, the curtain is pushed away from you and unavailable to use as a guide. As you reach for a shower curtain on curved rod, the change in depth perception can cause you to misjudge how far the curtain is from the shower stall and result in you falling as you reach for the curtain. A curved shower curtain rod may give more room in the shower in a small bathroom, but it reduces the available space outside the shower stall. The protruding shower curtain infringes on space needed at the bathroom sink or the toilet.